Printing ribbons are a dime a dozen, but few perform as optimally as Zebra resin ribbons. Zebra is a leader in printing, labeling and barcode supplies, and Tri-State Business Systems is proud to have formed an alliance with Zebra Technologies to provide industry leading products, services and support to corporations and businesses throughout the world. Zebra resin ribbons are some of the highest-performing thermal ribbons in the industry. Creating labels and tags that are chemical and scratch resistant, resin ribbons are ideal for use in applications where labels will be subjected to extreme temperatures, abrasion, moisture, and chemicals, and Tri-State Business Systems carries all of the Zebra resin ribbons you could need, from Zebra 5100 series ribbons and 5095 series ribbons to image lock ribbons and more. For companies that don’t need such a durable, long-lasting label option, we also offer a wide range of wax and wax/resin ribbons to meet your needs. These more affordable options offer a wide range of benefits such as smudge resistance, scratch resistance and more. To determine which ribbons will best meet your needs, simply reach out to a barcode and labeling expert at Tri-State Business Systems today. We will work closely with you to determine your exact application specifications and help you choose the ribbons and other products that are right for your business. 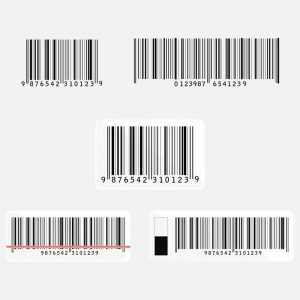 In addition to ribbons, Tri-State Business Systems also gladly provides nearly all of the other equipment and supplies you could need for a customized barcode and labeling solution. Whether you need a wireless barcode scanner, a healthcare scanner, an RFID printer or labels to keep your current system in full swing, we have it all at Tri-State Business Systems. Better still, we work with hundreds of fortune 1000 and 500 manufacturers throughout the United States and beyond to develop customized barcode and labeling solutions to meet and exceed their every need. If you are looking to streamline your business in Bradley Gardens, Neshanic, Millstone, Blackwells Mills, Montgomery or the surrounding areas, trust the barcode and label experts at Tri-State Business Systems. Contact us today to request quotes or place an order for Zebra resin, wax/resin, or wax ribbons or for any other barcode or labeling equipment or supplies you might need. We can help you choose the ideal wireless barcode scanner, labels or tags to help you streamline your business, and we look forward to serving you!